It took singer/songwriter Howe Gelb nearly 20 years to receive the type of attention upstart indie rockers routinely obtain by their second album. During those two decades, Gelb released an abundance of material at the helm of his group, Giant Sand, presenting a highly original take on Southwestern roots and garage rock. Gelb rarely stepped off his wayward musical course and onto even ground for any length of time. Combining this with inadequate promotion and distribution from a number of independent labels, and Gelb was ensured regrettable obscurity. By the late '90s, however, people finally began to take notice of a group of musicians gathering in Tucson, AZ. Gelb and Giant Sand had spawned a number of side projects including OP8 (Giant Sand plus Lisa Germano), Calexico, and the Friends of Dean Martinez. Gelb received the biggest critical and commercial success of his career with his Chore of Enchantment album in 2000. 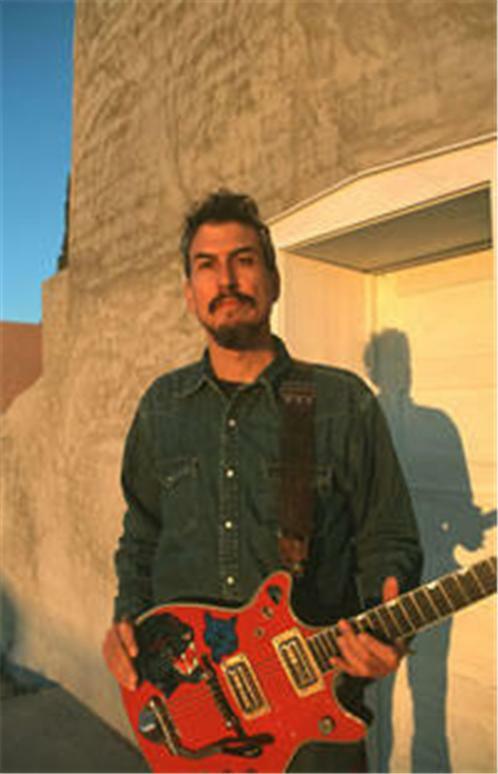 Howe Gelb formed the first incarnation of Giant Sand (then, the Giant Sandworms) in 1980 with longtime friend Rainer Ptacek. Like most of the early lineups, however, the group didn't last long, undergoing the first of many personnel changes. In 1985, Gelb took a new quartet (which included future Friends of Dean Martinez drummer Tom Larkin) into the studio to record Valley of Rain (the official debut as Giant Sand) for $400. More members came and went until 1988, when Gelb had settled briefly on a trio of bassist Paula Brown (his first wife who had joined in 1987) and drummer John Convertino. While Gelb and Brown would part ways in 1989, Convertino would eventually make up one third of Giant Sand's most consistent lineup. The final ingredient came in 1991 with the addition of Joey Burns. This core group recorded Ramp (1991), Center of the Universe (1992), Purge & Slouch (1993), and Glum (1994), albums that alternated pulsating rock with dusty acoustic etchings. In the years that followed, the story of Giant Sand's extended family grew increasingly complex. Convertino and Burns launched their duo project Calexico and co-founded the Friends of Dean Martinez. Gelb laid relatively low, releasing live and outtake material on Goods and Services, Backyard Barbecue Broadcast, and Volume 1: Official Bootleg Series (all 1995). He lent piano and organ to the Friends' debut (The Shadow of Your Smile, 1995) and joined an exceptional cast for contributions to Richard Buckner's stunning Devotion + Doubt album (1997). In 1998, V2 released Gelb's formal solo debut, the ethereal, lo-fi home studio project Hisser. In 1997, Gelb lost his close friend Ptacek to cancer, months before he was preparing to record the next Giant Sand album. The event threw him into an emotional tailspin. Initial Tucson sessions (at the same studio where he had worked with Ptacek just weeks previously) were largely unsuccessful. Three producers (John Parish, Jim Dickinson, and Kevin Salem) later, Gelb emerged with Chore of Enchantment, only to have the album rejected by V2. Chicago's Thrill Jockey ended up releasing what, against all odds, was one of Gelb's most cohesive collections. Chore drew from the broadest palette yet. Gelb stretched from the laid-back grooves of "X-tra Wide" to the escalating rock of "Satellite" with ease. He seemed less reliant on Giant Sand as an outlet than ever before. Near the end of the '90s, he launched his own Ow Om label. The Internet/mail-order imprint released discs from Gelb's Official Bootleg Series. Gelb spent a great deal of 2000 touring, orchestrating an increasingly spontaneous live show. A set list-free performance, a walkman playing snippets of previous shows, and a looping device (with 82 percent accuracy) were all used to supplement his extensive catalog of songs. More and more, both his live and studio performances began incorporating chance elements like these. At the start of the new millennium, the singer seemed busier than ever, working on a series of releases including a collection of solo piano instrumentals and a new album for Thrill Jockey. The latter project, designed as the follow-up to the intimate Hisser, was issued in early 2001 under the title Confluence, and displayed a sound closer to Giant Sand than any of Gelb's previous solo outings. Lull, a collection of piano pieces, appeared that same year. Gelb returned in 2003 with the similarly muted Listener album, and released Arizona Amp and Alternator in 2005. The latter included collaborations from M. Ward and Scout Niblett. Sno Angel Like You arrived in March 2006.